Haruka (the blue-haired gal) is called in on her day off to assist with taking down a guy with a grudge against the local governor and a sophisticated piece of rogue Willwear. 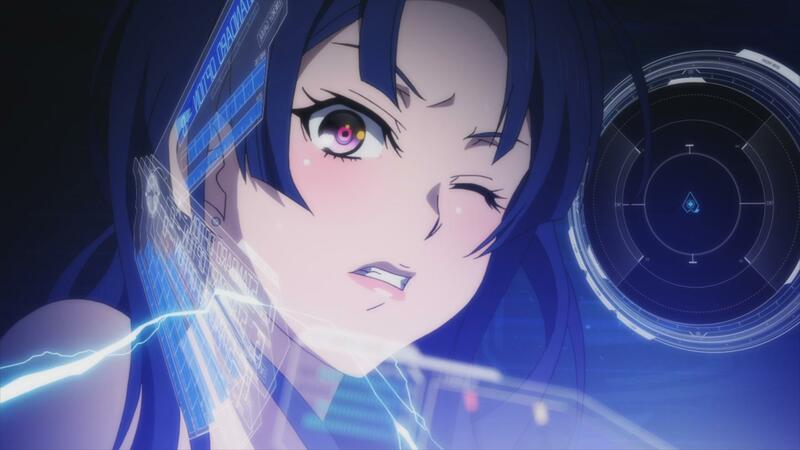 Dismayed at the interruption of her hobby as a transportation enthusiast, Haruka gets the opportunity to put some of her arcane knowledge on the subject to use when the target takes to the city’s rail system. After Haruka makes some progress negotiating with the guy (by bonding over their shared interest in locomotives), Dog (the Logos member behind the concert debacle) straight-up murders him via remote control. Shortly after that, a politician who the guy had ties with dies under mysterious circumstances, before he could face off with the incumbent governor in the next election. Wow. There is a lot going on here. To get started, the OP got a full visual overhaul, and sound effects to boot. Most of the characters that we met in the first half of the season show up, plus we get teaser shots of what appear to be Oscar units three through five. 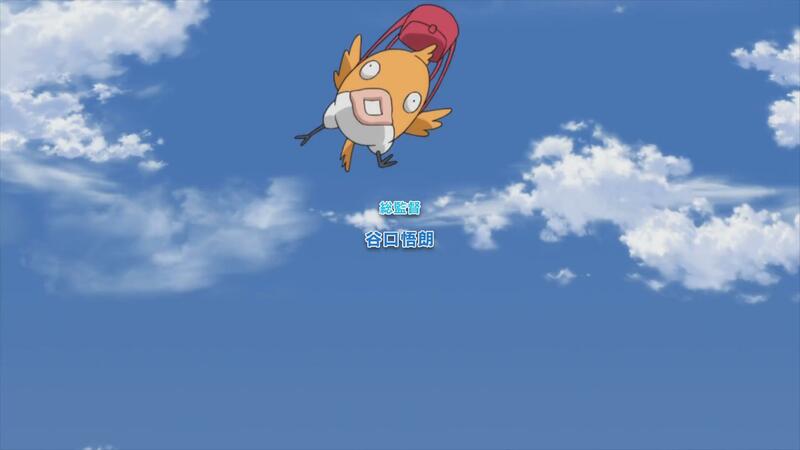 Also the Tokyo Metropolitan Government Building friggin’ explodes, and I realize (even though this was perfectly visible in episode five’s UFO catcher scene) that the show’s primary mascot creature has bird legs. 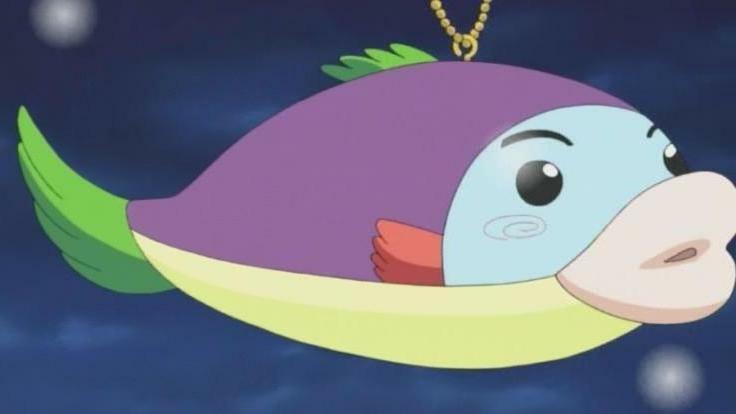 I’d thought it was a fish all this time, due to its resemblance to Billy, the critter from Seven of Nana. 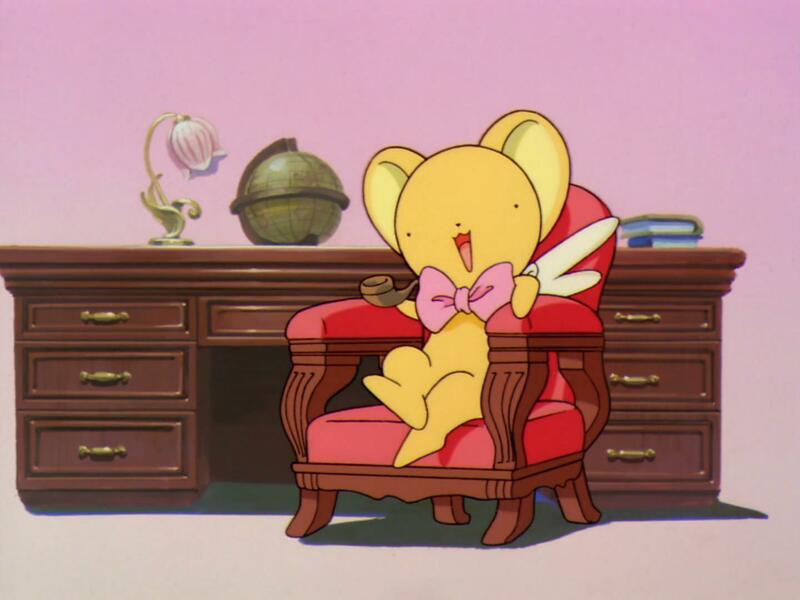 Anyone else remember Nana: Seven of Seven (Shichinin no Nana)? 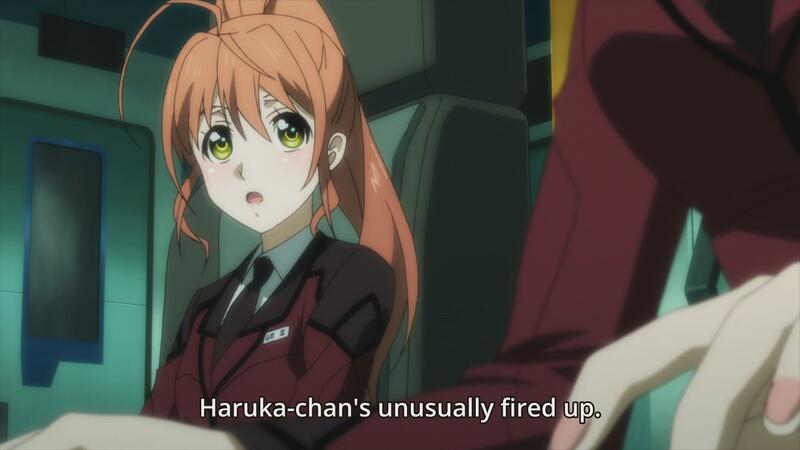 For the time being, I’ll chalk this up to Asako Nishida, who did character design for both shows. The opening scene serves to give us further insight into what Haruka does for fun, and to introduce us to Naganuma of the Peace Party. Judging by the reaction of random old woman, he’s a stand-up guy (though, here in the states, the current election cycle is not doing much for my faith in random people’s political stances). While I appreciate the show trying to be subtle about the whole quicksand/quagmire thing it’s got going on in the background, I’m not really sure what any of these people are doing here. How is Haruka planning to tour an abandoned train line? Surely not on foot – was someone gonna take her or is “abandoned” hyperbole? What are all these suits – including Rin’s contact in the bureaucracy – doing here in waders (over their suits!) ? 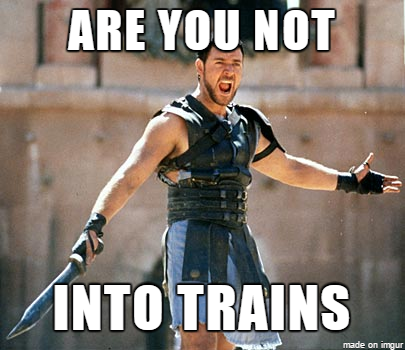 Inspections? Manual labor? I guess it’s supposed to be indicative of how down-to-earth Naganuma is, but with no additional context it just seems weird. And where did that old woman even come from? Does she live out here? Is she a hero for fun? 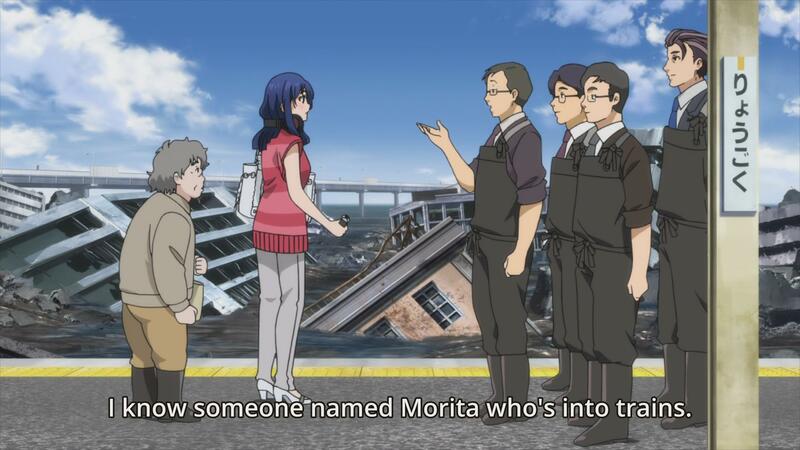 Interestingly, this is the only reference in the episode to anyone named Morita. My money’s on him showing up later. The whole attack on the governor thing is all but stated to be a ploy by the governor himself to garner publicity by setting up a straw man to take down with a missile. For maximum effectiveness, he does so by making a deal-with-the-devil offer to a guy named Kobari, who is a good friend of the governor’s political opponent Naganuma, and, coincidentally, helped shape Haruka’s love of trains. Whether Dog is an accomplice to this chicanery or just meddling with equipment that he happens to have remote access to (which would imply that someone else in Logos is a conspirator) is unclear. 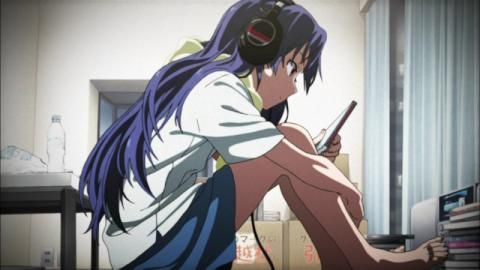 Cutaways to Rin’s sister and her classmate introduce us both to the sure-to-be significant mod to the Liko freeware and a sure-to-be-significant terrorist attack which happened roughly a decade prior to story start and is called the “Fruit of Tragedy”. Also, between Red Oni screwing with Blue Oni in episode three and the class president getting on Rin’s sister’s computer, apparently nobody locks their workstation in the future. Passwords and [Windows]+L, people (disclosure: I myself have had my desktop background changed by coworkers more than once for failing to do this). 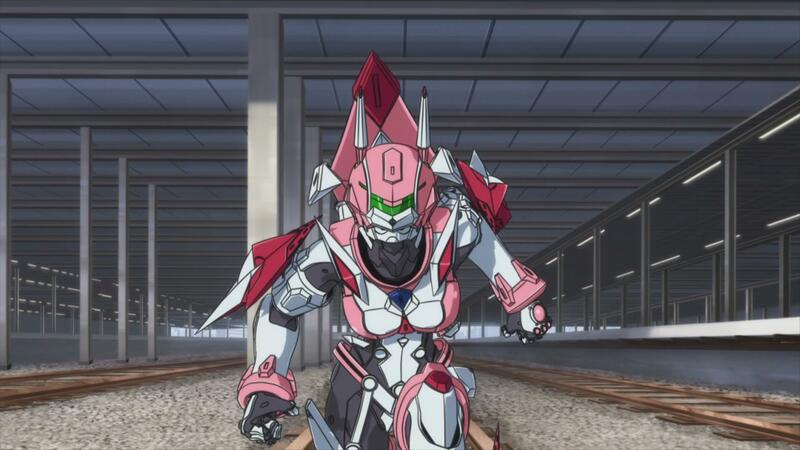 We soon get our first view of Haruka’s willwear, Oscar III, as she confronts Kobari at a train station. Side note – apparently we’re still doing bare-shoulder shots from “inside” of the willwears, even though the endo-structures are skin-tight nano-suits. Things get pretty dark after this, though – as stated in the synopsis, when Haruka starts talking Kobari down (using trains as a metaphor for him and his ill daughter, for whose sake he agreed to this stunt in the first place), Dog overloads the EM dome that the rogue willwear had been using as a shield, destroying it and killing Kobari (and almost killing Haruka). As if that weren’t enough, Naganuma dies in short order from a heart attack in what is officially ruled as a suicide. It’s heavy stuff, and the characters treat it as such. Color me impressed, Active Raid. I’ve some nit-picks, obviously, but the broad strokes seem to doing well.